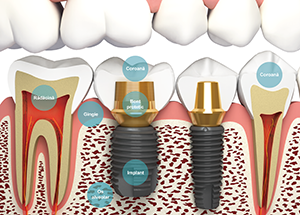 The dental implant is piece made of titanium which, most often, is screw-shaped and represents the substitute for the missing natural tooth root. 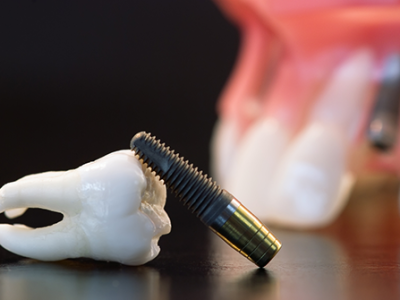 The implant is made of titanium owing to its excellent properties, e.g., biocompatibility and bone integration. 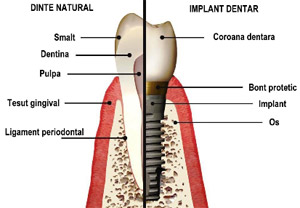 Depending on the complexity of the treatment, the duration of the procedure may vary.